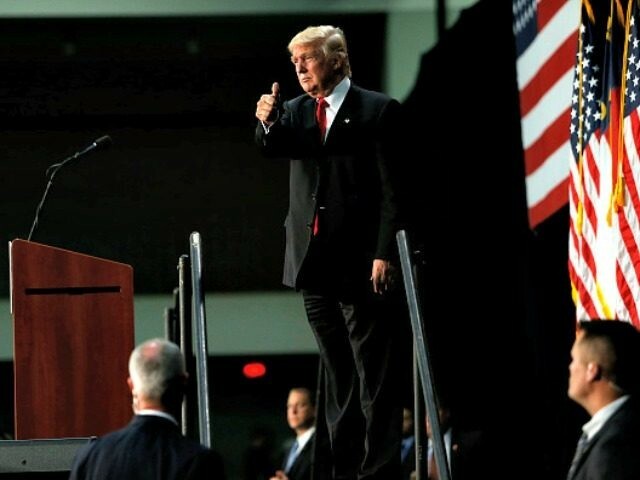 Donald Trump, speaking from a teleprompter during his campaign rally in Charlotte, North Carolina on Thursday, proclaimed he is the “change candidate” and admitted that because he isn’t politically correct, he doesn’t always use the right words. “So while sometimes I can be too honest, Hillary Clinton is the exact opposite: she never tells the truth. One lie after another, and getting worse each passing day,” Trump jabbed during his first campaign rally since Kellyanne Conway became his new campaign manager and Steve Bannon was named his campaign’s CEO. “Nearly four in ten African American children are living in poverty. I will not rest until children of every color in this country are fully included in the American dream,” Trump proclaimed.